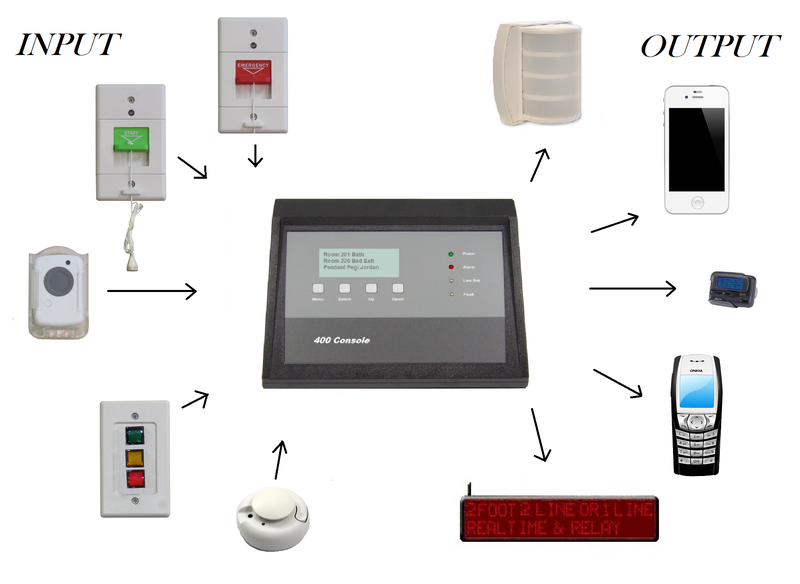 Manufactured only in the USA, the MV400 wireless nurse call system that we offer at BEC Integration Solutions is a mid-level system best fit for assisted living homes and various medical facilities. The MV400 wireless nurse call pairs as many as 250 various transmitters. Pagers and corridor lights improve staff reporting to help increase efficiency. This easy-to-install MV400 wireless nurse call system can simply be plugged into the nearest outlet and switched on to communicate with an activated wireless call station. The system can be paired with pagers or cell phones to enhance quick communication in emergency situations. The MV400 wireless nurse call system will increase staff response time and efficiency in any medical facility. The MV400 is a flexible and affordable wireless nurse call system. It can be paired with nearly any device for quick communication. The MV400 can replace a facilities’ current call system while still communicating with the old devices to save money. This affordable option allows multiple systems to be compatible and flexible. Although the standard option supports as many as 250 transmitters, the system can be upgraded to PC supporting 65,000 devices. From small clinics to large hospitals, any medical facility could benefit from the installation of the MV400 wireless nurse call system. Numerous standard features are included with the MV400 wireless nurse call system. A watchdog system to assure smooth operation, user-friendly programming, 900 MHz spread spectrum technology, 20 character display, quick and easy installation, replaceable batteries, alarm reset capability and more. The MV400 wireless nurse call system is compatible with wireless patient stations (both single and dual), wireless transmitters (pendant and wrist), wireless pull stations for emergency purposes, alpha-numeric capable pagers, exit sensor alarms, smoke and motion detectors, temperature sensors and more. The countless features and functions of the MV400 wireless nurse call system make it useful for any medical facility. 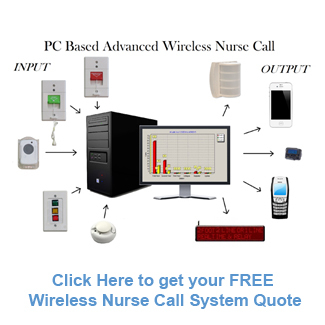 For a more advanced wireless nurse call system consider our PC Based wireless nurse call system. Or if you are looking for a simpler version, consider the MV200 wireless nurse call system. UL1069 wirelless nurse call options also available. There are no children categories of MV400 Wireless Nurse Call.